FULLY REFURBISHED – DONE RIGHT! 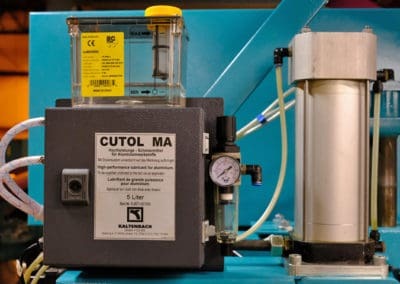 Many companies claim to “fully refurbish” machines, but often this translates as: “wiped down with an oily rag and sold with a tailgate warranty”. That’s not the way we roll at SMS, Inc. 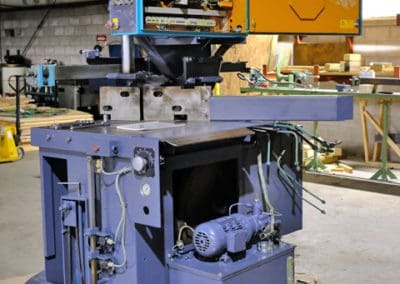 Fact is, we are not a general used machinery dealer: as a former Kaltenbach daughter company and the sole North American importer of Kaltenbach saws for over 30 years, we refurbish Kaltenbach saws only. 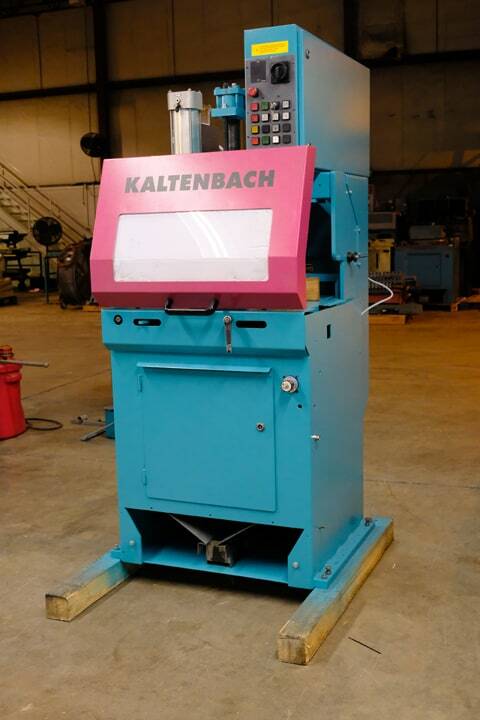 We know these machines inside out, and our service/parts guys have a combined 90+ years experience on Kaltenbach machinery. 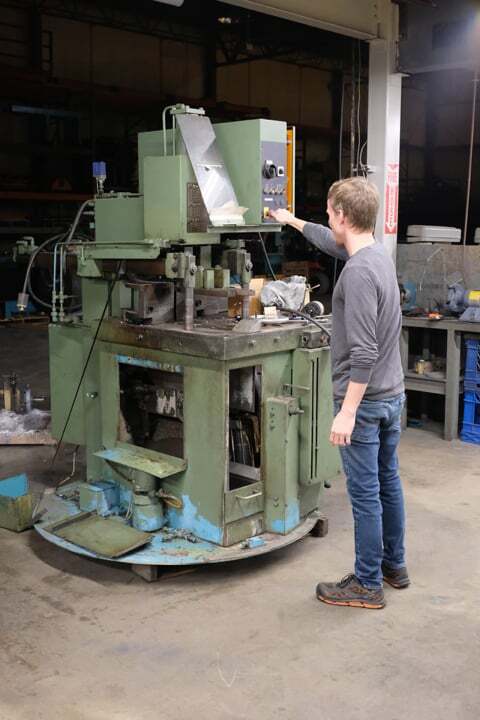 When we say “fully” refurbished, we mean fully: each machine is stripped down literally to the last nut, bolt and washer. Everything is cleaned, checked and tested. Worn, broken or missing parts are replaced (with correct OEM items). The machine is rebuilt to original factory specifications – and performs as new. For an additional fee we can have the machine electrostatically repainted. 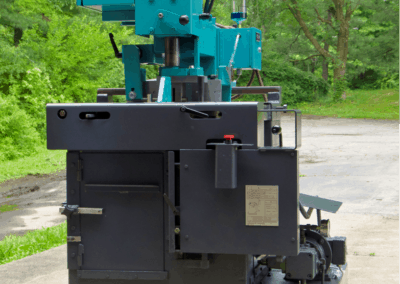 In the case of KKS (steel) machines, the gearbox – the heart of the machine – is an extremely heavy-duty, three-shaft, two-stage helical ground design. 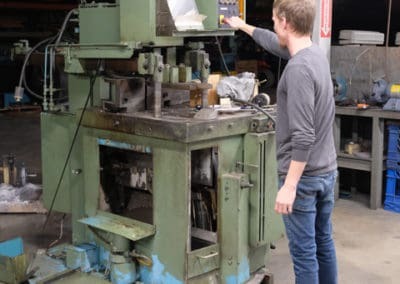 On every KKS we refurbish the ‘box is stripped down, all gears, bearings and gaskets replaced with new, before the ‘box is rebuilt to original factory tolerances, ready to provide decades of reliable service. 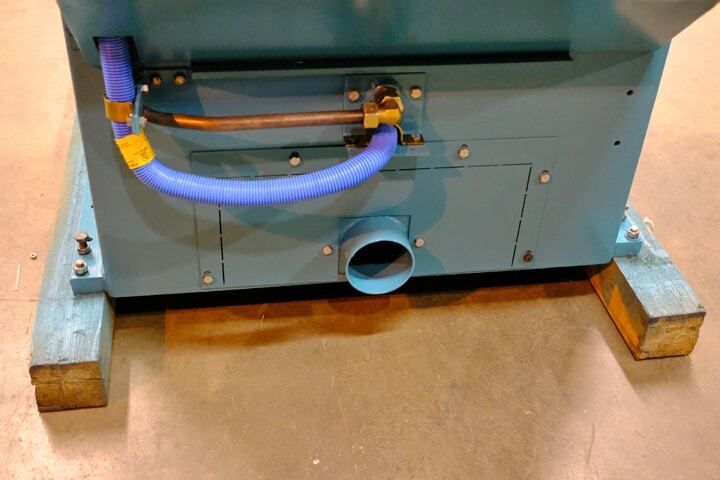 Installation, start-up and operator training is included in the machine price, just like on new Kaltenbach equipment, and the entire machine is covered by a 6-month full parts & labor warranty. 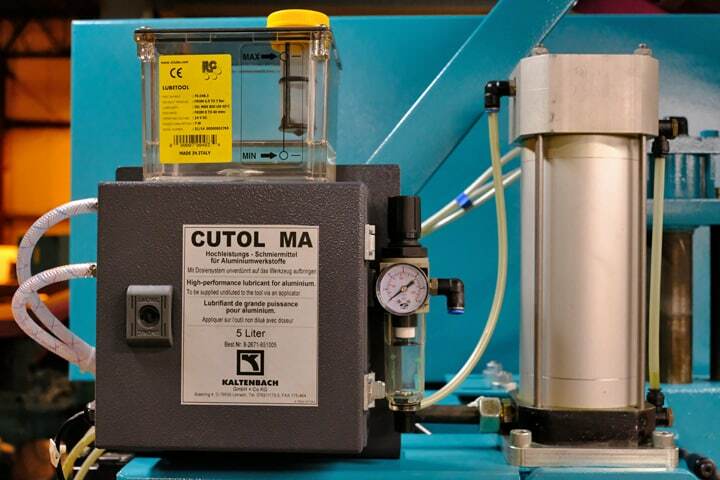 Payment terms on refurbished machinery are 50% down, with balance due before shipment/collection. On completion of the refurb’ you may inspect our work and if you don’t like what you see, you can cancel the order and we will refund your down payment in full,with no questions asked. 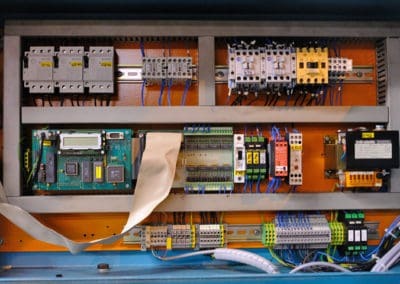 Note: we can also refurbish your existing Kaltenbach machine, and bring it right back to original factory specification at a fraction of the cost of a new machine! Precision cutting aluminum extrusions? 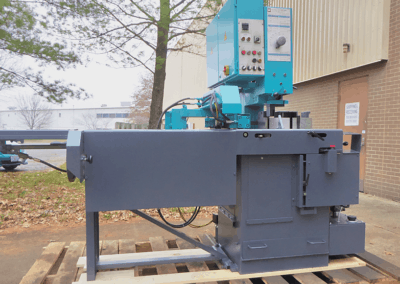 Check out this fully refurbished Kaltenbach SKL400H aluminum saw with a 6-month full parts and labor warranty, for less than half the price of a new machine. With a full 180° miter range (hard stops at 45°R/90°/45°L) the SKL is designed specifically for the cutting of aluminum extrusions. 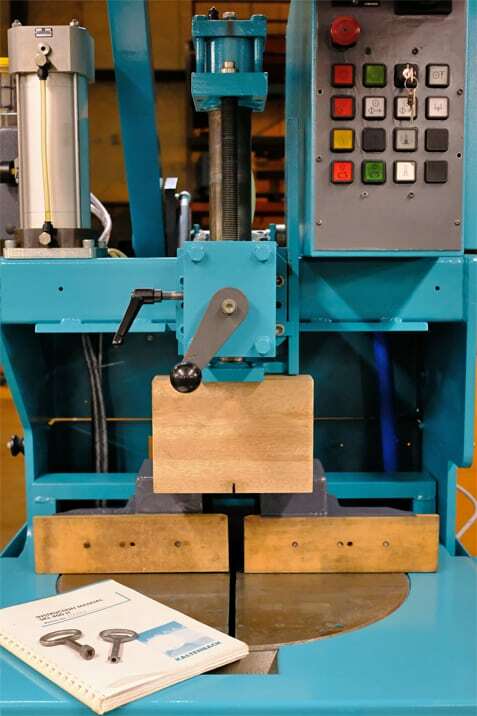 Ease of setup, safety in operation, speed, precision and quality of cut are the hallmarks of the SKL. Simply put: there is no better aluminum miter saw. 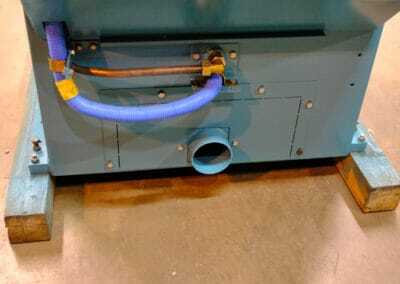 This particular m/c is fitted with a preparation kit for attachment to your chip exhaust system (can be removed and replaced with chip tray at no additional cost if you don’t have/want a chip exhaust). 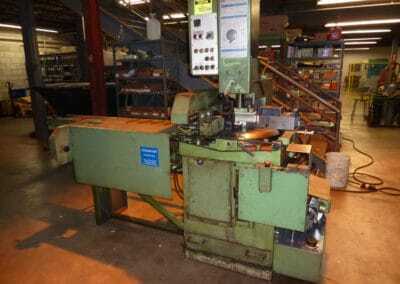 For more information go to the Contact Us page and request a full technical specification and pricing on this machine. 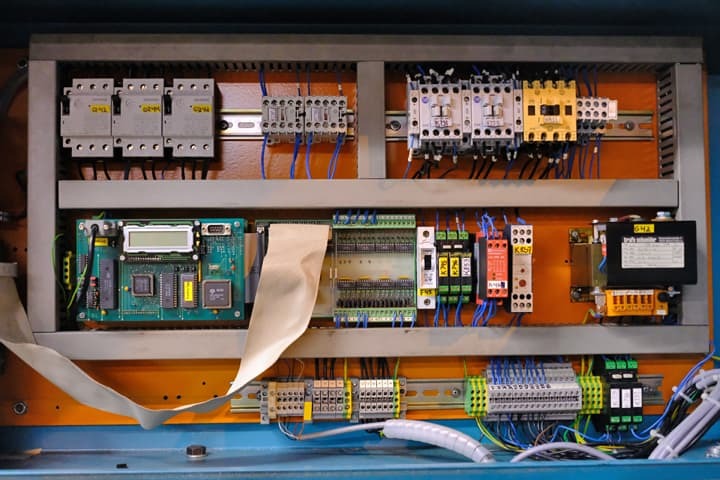 Kaltenbach RKT631H – refurbishment approaching completion. 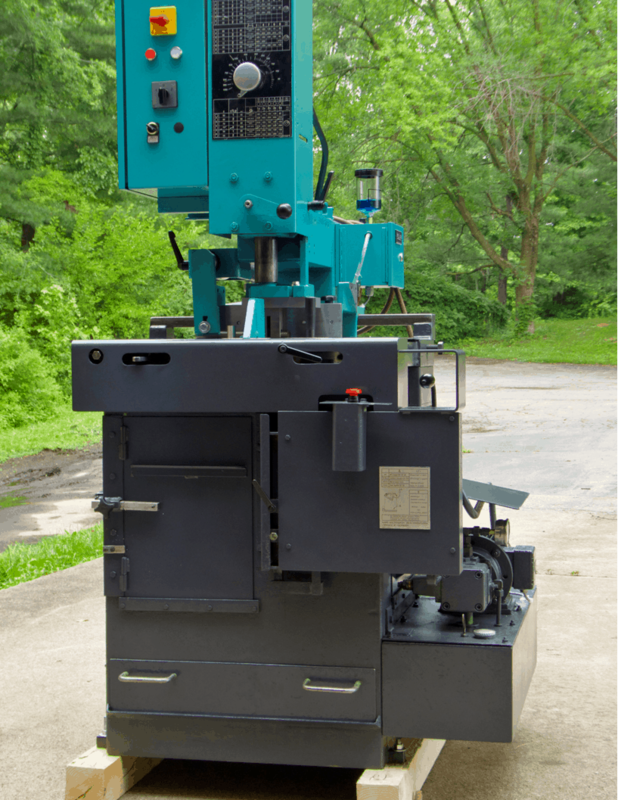 If you are a small-to-medium structural fabricator using a bandsaw to cut your steel – check out this MONSTER! 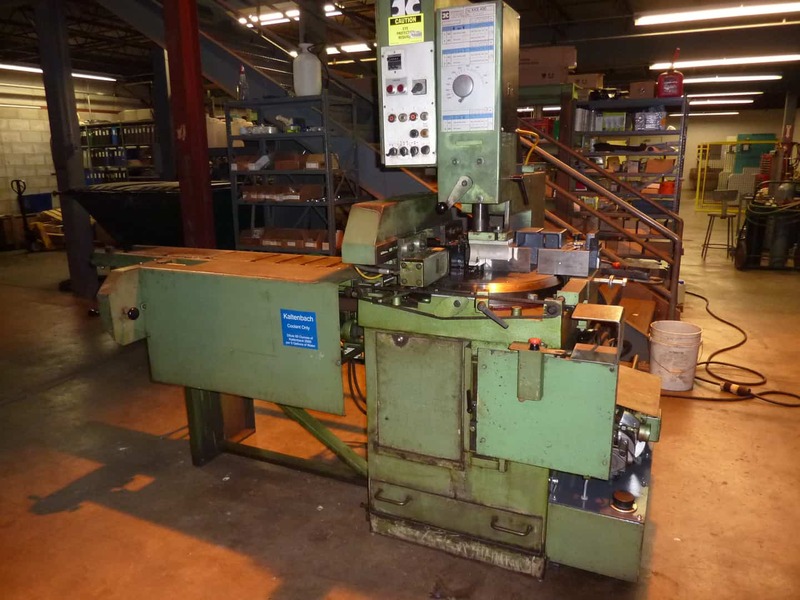 The Kaltenbach RKT631H is one of the largest upstroking circular saws ever made. 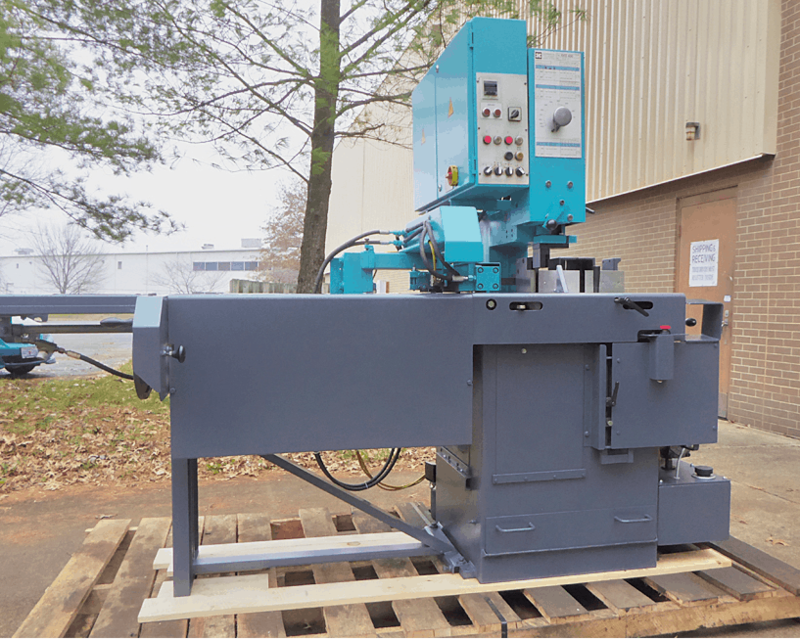 Weighing in at almost 5,000lb and running a 28” diameter blade through a massive three-shaft, two-stage helical ground ‘box, this machine will chop through structural steel sections at speeds that are difficult to believe – especially if you are used to bandsaws. Squareness is exceptional and surface finish is “milled”. Perfectly balanced, the RKT631H can easily be turned to any miter angle between 45° to the right and 60° (=over 45°) to the left with one hand, via a geared crank. 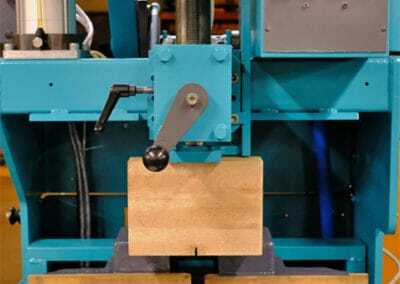 The machine rotates around the blade and back fence datum point, so there is no length offset when mitering. 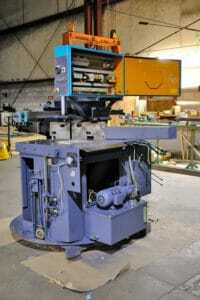 We also have available a complete third-party infeed/outfeed roller table setup with NC back stop for this machine. Click here to see the RKT sales literature with technical specifications on the last page – or go to the ‘Contact Us’ page and request a formal quote. 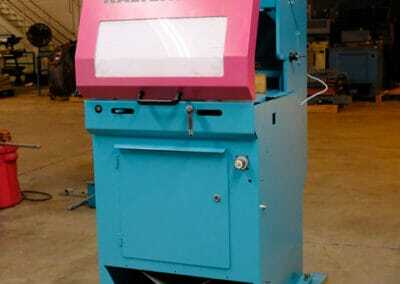 This RKT631H has been stripped down and completely refurbished to as-new technical specification and is offered out with a 6-month full parts and labor warranty. It has been electrostatically repainted in current Kaltenbach colors, and re-assembly is well under way, with an estimated date of completion of March 29, 2019. The RKT631H is in a performance class of its own, and this fully refurbished unit offers unparalleled bang for the buck. German engineering. Designed to do the job right, and built to last. The RKT will survive years of punishment in the notoriously harsh environment of structural steel fabrication, and keep delivering the goods.